If, at the age of 8, I could have conceived of something like eBay, I think Gary Weaver would have made my lifelong dream come true. He's the guy who is currently offering a "screen accurate" DeLorean for sale on eBay, modeled precisely after the time machine that takes Marty McFly back to 1955 in Back to the Future. I am serious when I say that I could probably come up with a few body parts to sell to help me cover the current $59,000 asking price (or I could buy it now for $89,000!) I mean, people pay that much money for cars that don't look like time machines. 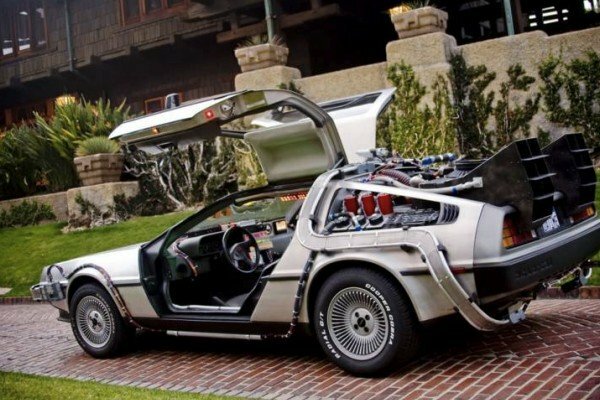 Why would you do that when you can now own a car equipped with a flux capacitor! OK, the flux capacitor may or may not work, and apparently the "plutonium rods" in the back are fake. But! There's an OUTATIME license plate. There's a programmable time circuit in the front so you can see where you are, where you're going, and where you've been. 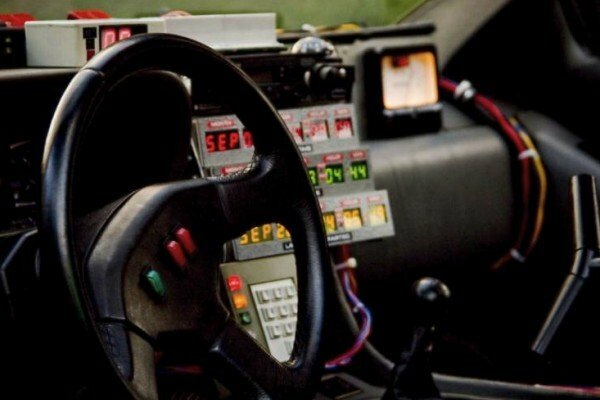 There's a digital speedometer to tell you the precise moment you've hit 88 mph. This is clearly the only car a person could ever want. So which loyal CB reader wants to buy it for me? Only 2 days left to bid!